Moffat County High School running back Keenan Hildebrandt powers through the Gunnison opposition during the Bulldogs' Sept. 12 home game. 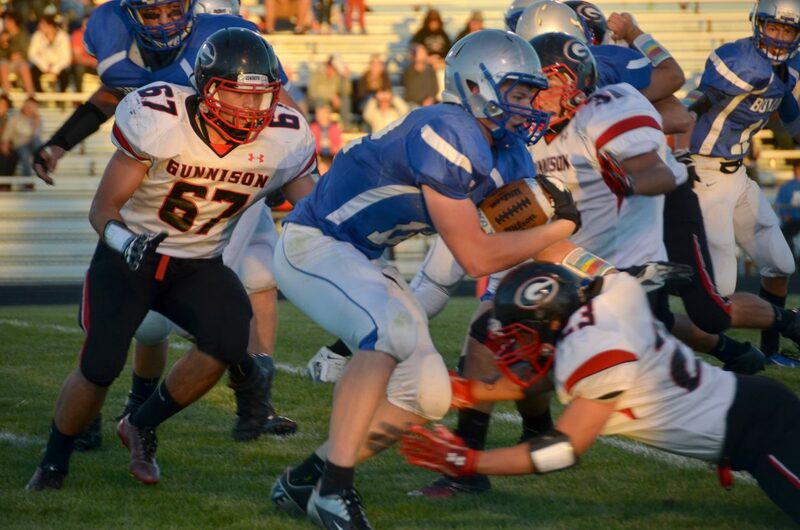 The team will host Battle Mountain as part of Homecoming activities this Friday. 5:30 p.m. Craig Middle School seventh- and eighth-grade volleyball vs. Rangely at CMS, 915 Yampa Ave.